You can thank the the Segway for modern hoverboard scooters. At the time it was groundbreaking technology that allowed people to basically, just stand while moving to another place, like a moving conveyor-belt on wheels. 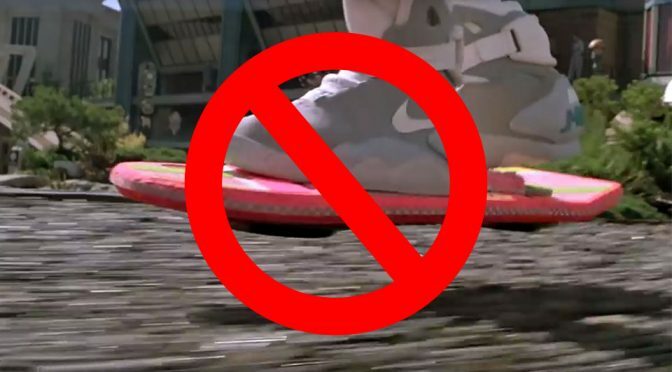 Today, we live in the age of the hoverboard, though our current models have wheels and they don’t really hover. 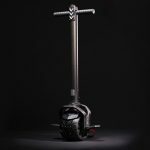 The next phase of the self-balancing scooter will turn us all into Marty McFly from Back To The Future II, surfing the air like a pro. But that’s for the future, hence the name of the movie. Let’s look at how today’s hoverboards work, so you can understand how they do what they do. We have the answers on the technology inside of these personal transport vehicles. The magic all takes place under the hood, so to speak, even though hoverboards don’t have hoods. Let’s take a look at what makes your ride tick. This is the real world hoverboard for now… Image credit: Pixabay. Most of the parts are out of sight and these all work together to give you a smooth and satisfying ride. Some of these parts include a steel frame, motherboard, gyroscopes, infrared sensors, pressure pads, electric motors, tilt and speed sensors and much more. Each wheel has a motor inside that controls your speed as well as sensors that send the RPM (revolution per minute) speed to the gyroscope and speed control boards. You slow you down when you lean your weight backward and speed you up when your body leans forward. The gyroscopes and tilt speed sensors are responsible for these actions. The gyroscope knows where your center of gravity is, while the speed controls send info to the sensors inside of the wheels to send your tilting data to the motherboard. It’s all about how these parts communicate. Each side of the self-balancing scooter has a pressure pad that detects your weight distribution. There are switches in the pressure pad that drive the turning mechanism when one foot presses forward, hitting those switches. 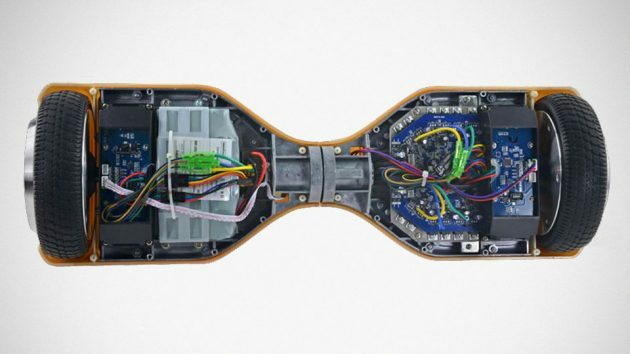 A typical inside of a hoverboard. If your hoverboard has a brain, you could say that it is the motherboard. It handles all of the processing. This is the computer that sits inside of your hoverboard. The motherboard can handle all of the feedback from the other components like gyroscopes and speed controls. It gets all of the info on acceleration, slowing down, turning and more and makes sure that everything runs smoothly. Everything goes through the motherboard. It is also what gives you special features like Bluetooth speakers and Learning modes. When it comes to self balancing, the key is your center of gravity. This is what allows us to stand upright and not fall on our face every day. When on a hoverboard, the gyroscopes and tilt sensors work together to maintain your center of gravity based on your weight distribution. Any movement of your feet is detected and sent to the motherboard, which keeps you balanced by speeding up or slowing down. Put simply, the more you lean forward, the faster the motherboard tells the motors to spin, to keep you standing upright. Your scooter does the work for you and the best hoverboards make it easy to balance. Your hoverboard relies on an onboard battery-pack rather than gas as a fuel. 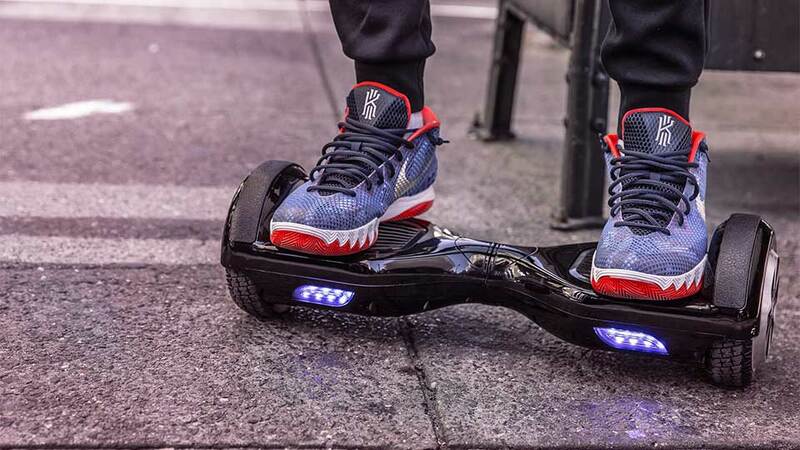 Most hoverboards use a lithium ion battery. You can charge your battery through charging ports built into the hoverboard. As you can see, your hoverboard may seem like magic, but really it is all of these parts and functions working in perfect harmony that make your hoverboard perform perfectly day after day. Knowing how your hoverboard scooter works may even help you to be a better rider and to take better care of it. It works on simple principles that are executed with cutting edge technology. 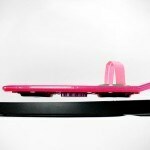 HUVr Hoverboard: Fake But Why? Wait, What? 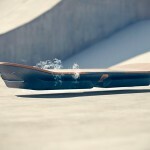 Lexus Has Developed a Real Working Hoverboard? Gadget Review was founded on one simple premise: honest expert reviews that will help any consumer, savvy or not, make the right purchase on services, software or products. Our team of experts continuously research 100s of products, software and services so you don’t have to. The result is easy to read editorial and consumer reviews, best of lists, top ten comparisons, how to’s and everything in between.